While having a regular house help may not be common in many countries, in India almost every other home in cities have at least one maid to help with the household chores. Usually these house helps come from families struggling in poverty trying very hard to make ends barely meet. In most cases, the house help is a woman whose husband is either a daily wage laborer or a drunkard. The woman has no choice but to work in a few homes to feed her children and pay their school fees! That’s their plight in short! My paternal grandmother, Mrs. Marjorie Job, was an amazing woman. In fact the word ‘amazing’ doesn’t do justice to the exceptional exemplary life that she lived. I’ve learnt volumes of lessons from her life – some she taught us grandchildren; the rest we learnt just watching her! Granma and Granpa lived in a big house in Madurai. They had around 4 to 5 house helps. All of them were uneducated girls in their twenties from very poor families. One should see to know how Granma treated those girls and how blessed they were to be working for her. Those girls were her extended children. She never over worked them. In fact, I’ve seen her constantly around them lending them a helping hand. She gave them enough to eat. She counselled them while she was around them. She taught them to read and write in their spare time. There was no limit to her giving – be it cash or clothes. You’ll be surprised to know she even found them good life partners and got them married. In short, she loved them and treated them how a woman deserves to be treated! We are living in a time where everyone everywhere is fighting for woman’s rights, equality, safety and such. 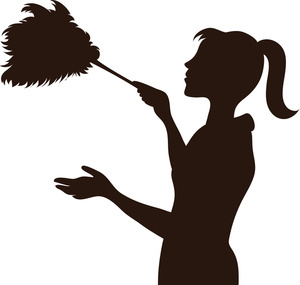 A quick question – how do we treat the women working for us in our houses? I’ve been blessed with a good house help for the last three years. She is a mother of two little boys. Extremely hard working. Less talkative. She just minds her business and I mine. Well, we have a language barrier. She speaks only Telugu and God knows what she calls the language I communicate with her! It’s mostly action + a little bit of broken Telugu + Tamil spoken in Telugu accent! Although, I can’t come anywhere close to the way my granma took care of her helps, I try my best to do the best I can. Here are a few things I keep in mind in my relationship with my maid. A house help may be helping us with house hold chores like sweeping, moping and dish washing. But that does not make her in any way a lower human than us. She may not be living in a fine house like us or driving around in a car. Yet she is a woman. A woman with dignity who has kept her pride aside to fend for her hungry children. Ask her kids and they’ll tell you their mother is a hero! PLEASE do not call her names or boss her around yelling. Do not make her feel insignificant in your presence. Be polite. Just the tone you use to speak to her will make a difference! I’ve seen some women who make their maids work over and beyond their physical capacity and what they are being paid for. Stop it. That’s harassment. She is a woman. She has her limitations. If not anyone, you are expected to understand her better than anyone. If she appears ill, give her a pill, lend her a hand and give her a break for a day! My! You gotta see the way some women make a hue and cry over the maid coming a little late or not showing up for a day. Please, it’s not the end of the world. Haven’t there been days when we went late for work or days we decided to bunk just because we woke up late! These maids do a lot of physical labor. They walk a lot from house to house, carry pots of water each day and they do many things which we cannot imagine doing even once. I’m not asking you to be lenient if they are frequently coming late or bunking work without intimation. I’m just saying – provide them a pleasant environment to work. Don’t micro-manage them with continuous instructions. Tell them what to do and trust them to do it! Charity begins at home. There is nothing more satisfying than helping someone you see and know. Don’t think twice to give your maid – food or clothing. If you are cooking something delicious when she is around, pack a little for her. Gift her a new dress at least once a year. Just as how a yearly bonus at work will excite us, surprise her with a bonus at Christmas, New Year or Diwali. Buy stationery for her school going children. If possible help her in paying the school fees to the best of your ability. You need not give them a gourmet dish. But make sure what you are giving is not stale. It’s sad when I see some of my neighbors giving food to their maids in dirty plastic covers. I’ll definitely not like my food packed like that! Lately, I’ve stopped buying vegetables from super markets. I pay weekly visits to the local vegetable markets. It’s an adventure on its own when you consider the dirt, crowd and the sun. But the point is, I get fresh vegetables, twice or thrice as much at a considerably lesser cost. For eg, in a super market you might get five bunches of spinach for Rs. 10. I get 10 for Rs. 10 at a market. That becomes excess for the three of us. So I keep aside the extra for my maid. It’s a win-win for both of us. Also, I do not keep the veggies for over a week in the fridge, allow it to rot and then give my maid. The minute I see and feel it’s too much for me. I give her. There is a moving incident that happened before I decided to do this. Some months ago, I trashed a bag of lentils that was getting eaten up by worms. When my maid opened the bin to put trash, she saw the bag of lentils (with worms), picked it and requested me if she could take it home and use it. My heart instantly broke. That’s the extent of their poverty! It also helps when the maids don’t have haughty attitudes… We tried having maids when the boys were little, but they either became demanding or bailed on us when we most needed them. We finally decided to make do without a maid and we haven’t regretted that decision. It was lovely reading your thoughts, Michelle.. Your maid is blessed to have you as an employer :). I’m sorry about that Sheens. I know what you’re talking about. My MIL had a tough time with such characters. So tell me, you still manage all by yourself?!!!!! Not actually :). Binny takes care of the heavy duty stuff and the boys help clear things off the floor. That leaves only the daily chores, organizing and light cleaning for me. It’s not perfectly clean on most days but not too bad either :). But stillllllllllll! Three boys and no domestic help leaves me mind-boggled! You gotta be one super-woman!!!!! I love how you write akka. And I totally agree. I remember writing about it in my blog last year. It hurt to see how badly they’re treated. The way you write is an extension of you – full of hope and good spirits and happiness! we too had a helper and she was with us from the age when i was 5 and she served for almost 25yrs, she was part of our family a good aunt to me, we did all that we can do to them in little ways and big ways and then there came a time when she had to leave us cos her children grew up, but still she comes and helps whenever she can in her little way.I should mention her name here, she’s Esther Aunty.